See how much salad you can grow in just a few short weeks – in a tiny amount of space! One of the best things about salad greens is that they are super fast and easy to grow! Whether you are trying to get one last crop in before winter arrives, you want to enjoy some delicious spring greens before it’s time to plant your warm-weather crops, or you have some space to squeeze in a quick crop between succession plantings, greens are a great choice. 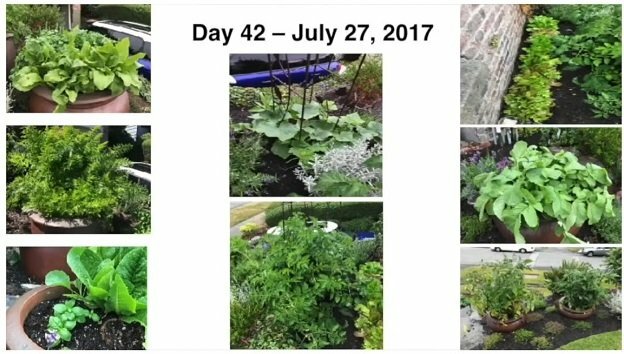 In the short video below, one student of the Grow Your Own Vegetables course describes how she used what she learned in the course to grow plenty of delicious salad greens in a tiny amount of space in just over 30 days. Check it out to see how much salad you can grow in a small space in just a few weeks! Want to learn how to grow your own tasty fresh salads and more? Check out the FREE Grow Your Own Vegetables Workshop – Going on right now!